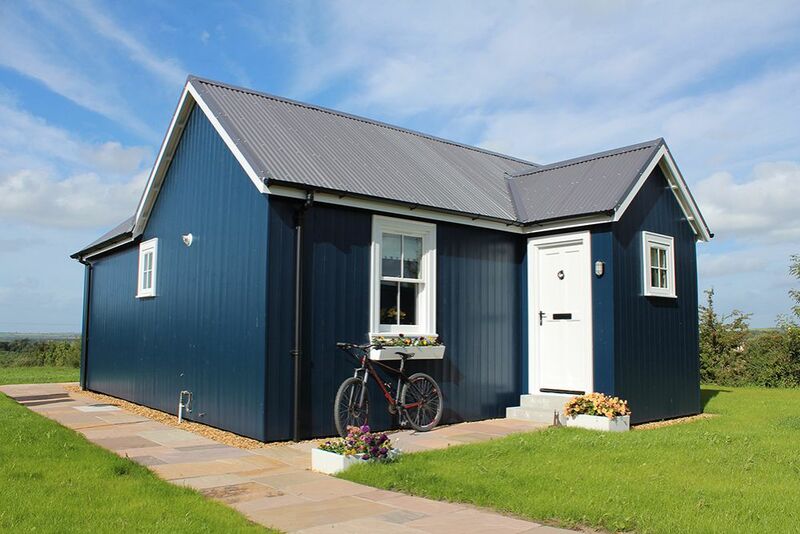 This navy blue charmer was built by The Wee House Company. 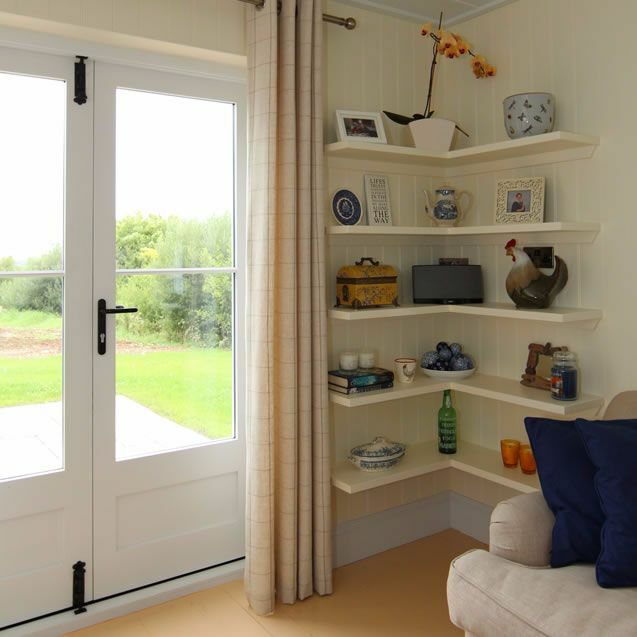 A small house builder in the United Kingdom, its goal is to evoke "timeless, classic design principles to create homes with character and charm ... and never compromise on functionality or energy efficiency." The one bedroom Wee House includes a living space, eat-in kitchen, one bedroom,and one bathroom. 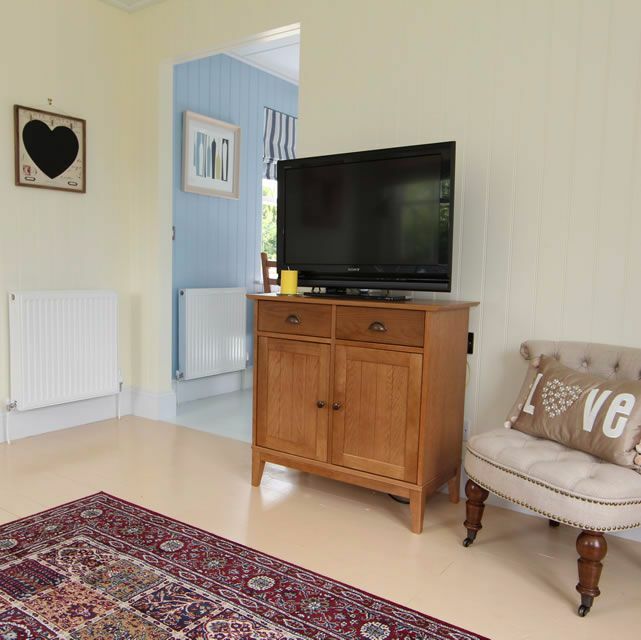 The home's bonus features include clever storage solutions and two sets of french doors. A Wee House can be used for an elderly relative, a vacation home or simply as an affordable permanent residence. Take the full tour below. French doors in the living room offer scenic views and plenty of natural light. Clever corner display shelves provide needed storage space and a stylish way to display accessories. The living room leads into the kitchen. The space is small but feels airy and open with the use of small-scale furniture and the right layout. It's a good idea to keep larger and more expensive furniture neutral, and bring in color with the smaller items. When a change is needed, a whole new look can be accomplished simply by changing pillows and a few small accessories. 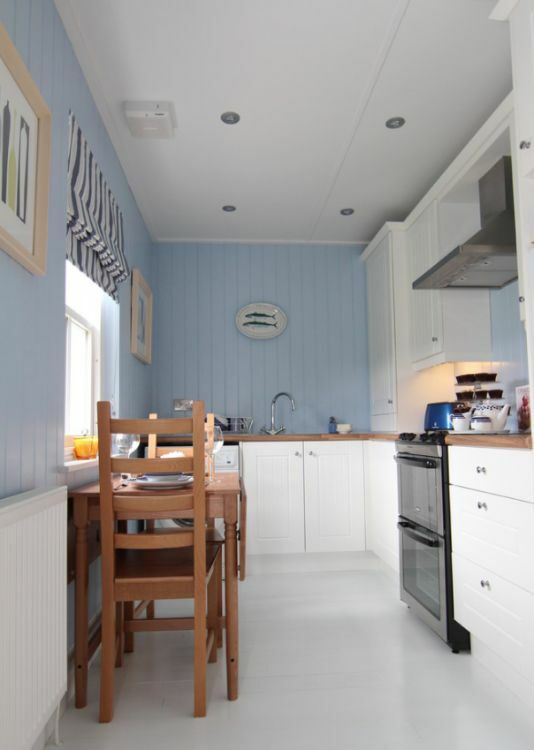 The kitchen is bright and happy thanks to soothing blue walls and crisp white cabinetry. A small dining space features a fold-out table that can be expanded when needed. 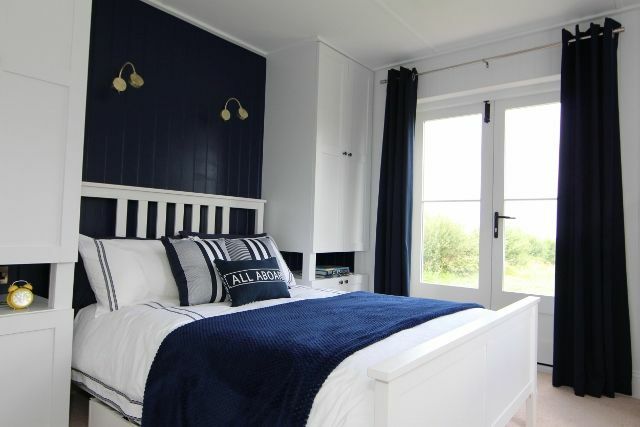 The bedroom features a playful nautical theme. The bed is flanked by two built-in storage cabinets – a smart alternative when there is no room for a closet. 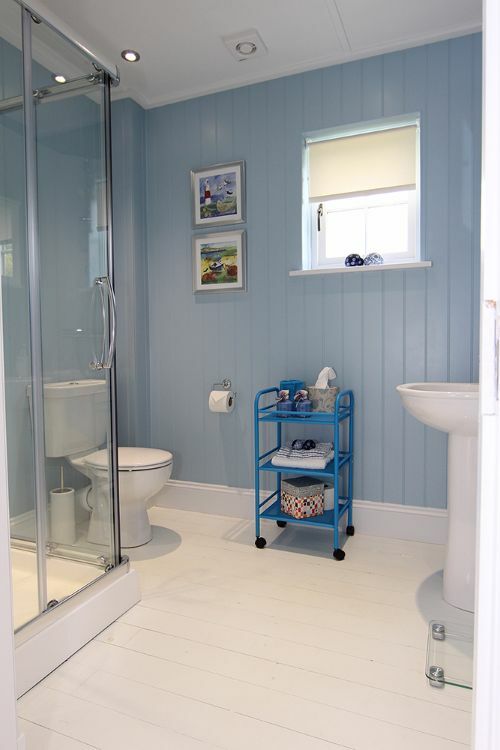 The bathroom is painted the same blue as the kitchen for a coherent look. 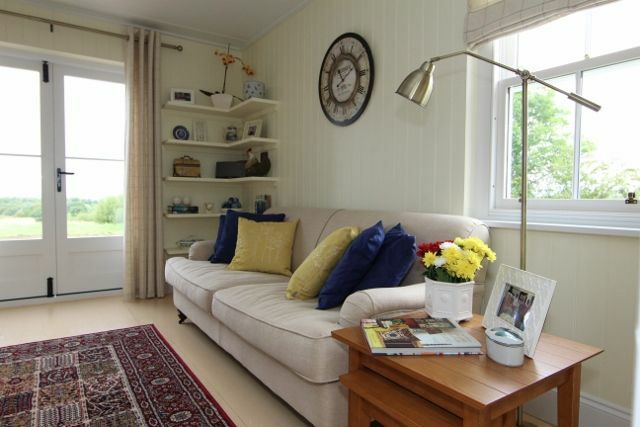 White flooring and a window to let in light keeps the room feeling bright and spacious. When storage is limited, it's important to use every inch of closet space efficiently. 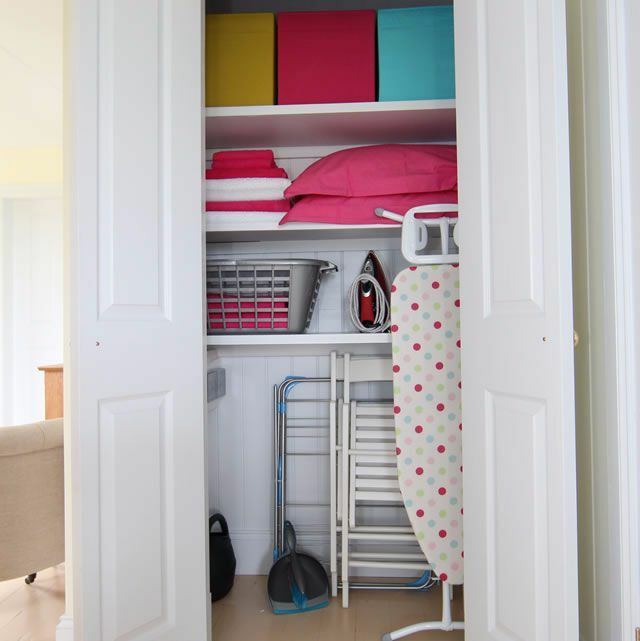 Shelving and storage bins make this closet well-organized and easily accessible.